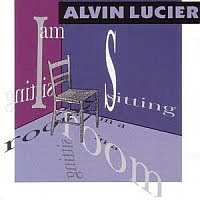 "I Am Sitting In A Room" also happens to be a profoundly intimate piece, in which Lucier references his own stuttering. That adds yet another dimension to the crystalline perfection on display. The first time I heard this it changed my life. Give it a chance when you are chilled out. It may take you unexpected places.